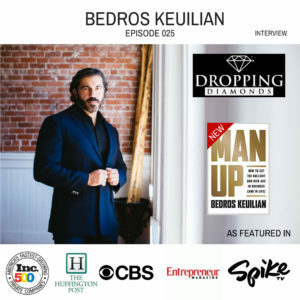 In this Episode, CEO and founder of Fit Body Boot Camp, Bedros Keuilian, comes on and absolutely drops some major diamonds. Keuilian’s rags to riches story is truly inspiring. Listen as Bedros explains how he turns adversity into an advantage so that he can execute resiliently. With one of the top 15 fastest growing franchises, you definitely want to hear this episode if you are fighting your way out of the trenches. Enjoy! !